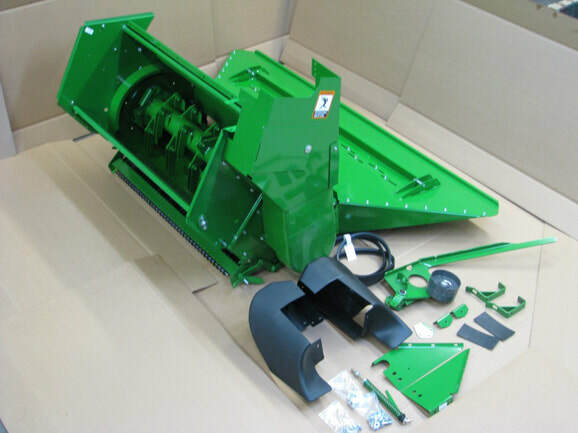 Kit includes all mounts, discharge chutes, hardware, and drives to change over from spreader. Kits do not include straw chopper actuator for folding chopper for low shaft speed monitor. Parts are interchangeable with OEM.